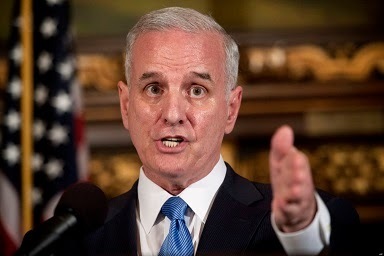 ST. PAUL, Minn., May 27, 2014 /PRNewswire-USNewswire/ -- In a state troubled by the chiropractic scope controversy, a definitive victory has been scored for chiropractic with the recent signing of the recodification confirming Minnesota's Chiropractic Scope of Practice. The scope, which has met with strong opposition at times, was designed to "recodify the existing scope of practice, and more specifically defines what chiropractors can perform," according to the Minnesota Chiropractic Association (MCA). The chiropractic scope of practice was first enacted in 1919 with substantial changes in 1927 and 1975. Over the years there have been advances in knowledge, technology, and education practices and requirements. Enforcement has kept pace with these changes, however, the chiropractic scope has not. Parts of the scope were dated, incomplete and in some cases obsolete. The changes would modernize, centralize and strengthen the chiropractic scope of practice provisions in law and to add clarity to the current law, resulting in ensured fairness in enforcement and a better understanding of professional requirements by the public and the chiropractic profession. The Minnesota Chiropractic Association applauds Gov. Mark Dayton's decision to sign the Scope of Practice. "We are pleased that Gov. Dayton has signed the recodified version of the Chiropractic Scope of Practice," said Christian Kollar, DC, MCA President, in a statement. "This will allow Minnesota chiropractors to continue to provide the same level of quality care they have in the past and will allow patients accessibility and choice when selecting a provider for their health care needs. "As the state association for the profession of chiropractic, we take great pride in the stellar reputation of Minnesota chiropractors," Dr. Kollar continued. "Their extensive chiropractic training and clinical experience benefit patients throughout the state of Minnesota and stand as an exceptional example of effective, safe and accessible quality health care discipline. We commend the governor and his staff for their diligent work to keep this standard of quality care available to all in the state of Minnesota." Dr. Kollar went on to reassure residents of Minnesota that the governor's decision will only enhance the quality of care in the state. "Residents of Minnesota can be assured that Minnesota chiropractors are providing quality health care and are doing so with patient safety in mind," he said. "Doctors of chiropractic have had rigorous training and clinical experience to perform the procedures for which they are licensed and take great care to only perform those procedures that are within their scope of practice and expertise."